Everyone knows that couple that seems to get it right. Some couples naturally know how to keep their partner happy and their relationship strong, and you may be wondering what is their secret. These couples usually have a number of things in common. 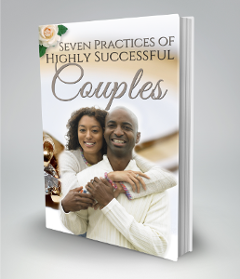 You can learn how these couples do it by reading the “Seven Practices of Highly Effective Couples”. You can get a copy of this guide when you sign up for the Life M8Z newsletter. Each issue of our newsletter is filled with more of the lessons that successful couples apply to make their relationships great. Get your copy today! Get the "Seven Principles of Highly Effective Couples"
You can get your copy of the "Seven Principles of Highly Effective Couples" as our Thank You when you sign up for the LifeM8Z Newsletter. Each issue contains tips, tools and advice on how to build a good relationship, and make a good relationship great!